1.Power system with rechargeable 7.4V Li-Polymer Battery. 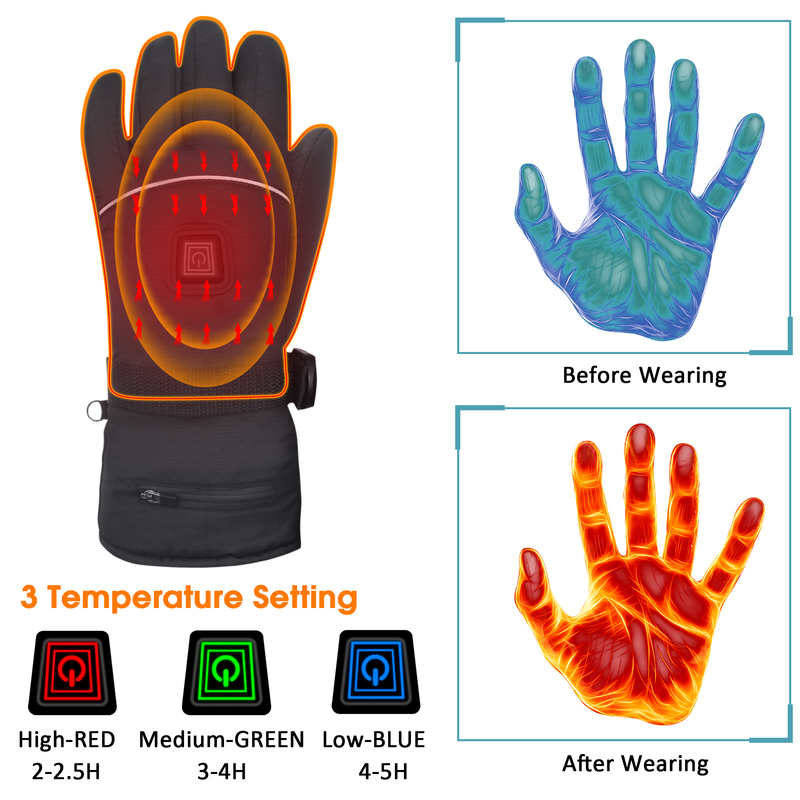 Sustained heat for up to 5 hours.Three level switch temperature control, convenient design suits you better. 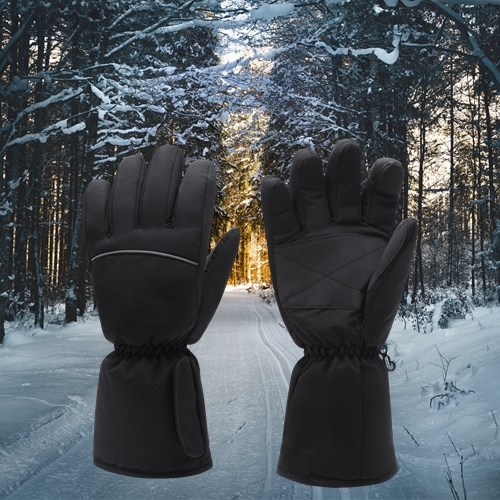 The Heated Gloves hat is designed for people who take on the outdoors. Blended with nylon and cotton, soft and warm. 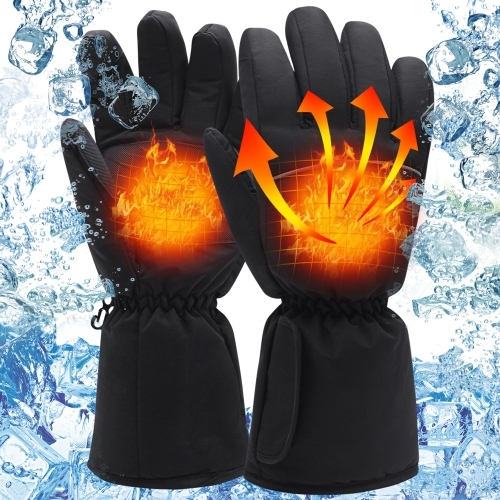 Adjustable band, good elasticity fits well to your hand, trap your hand's natural heat and produce comfortable heat. Battery is packed in the small pocket on glove, and controlled by the temperature controller. The switch is on the glove which is easy to control. 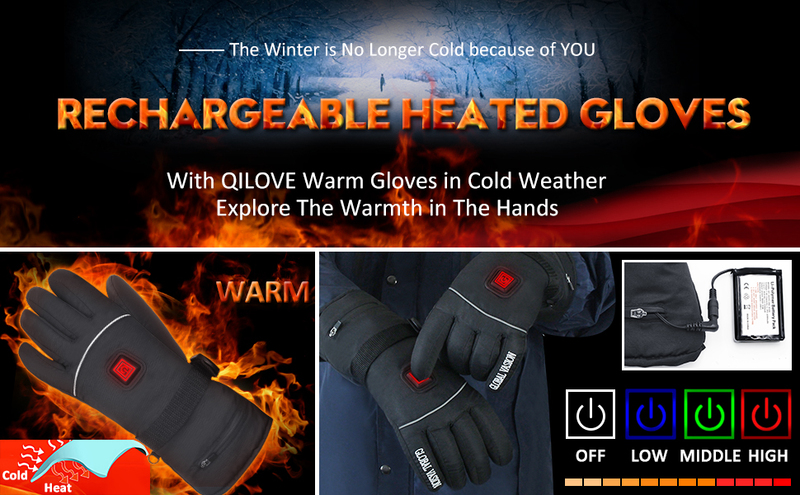 Once the glove is powered on, the heating park quickly heat up your hand in 10 seconds. 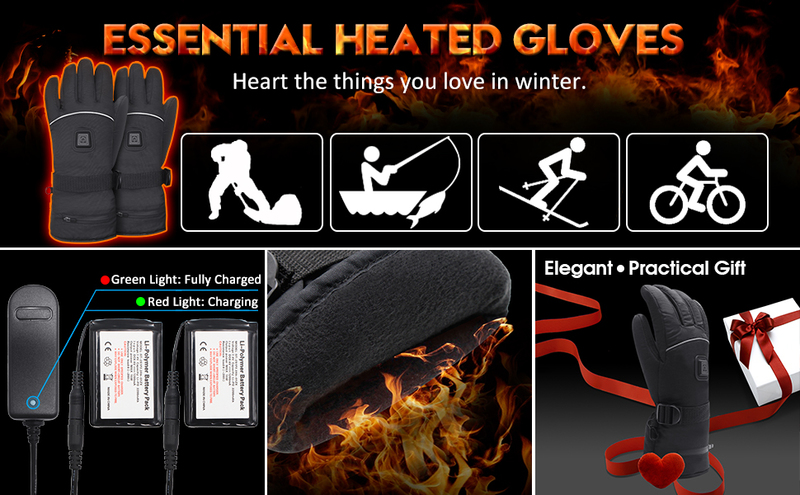 The rechargeable battery delivers 3 levels of heat, up to 5 hours of use. 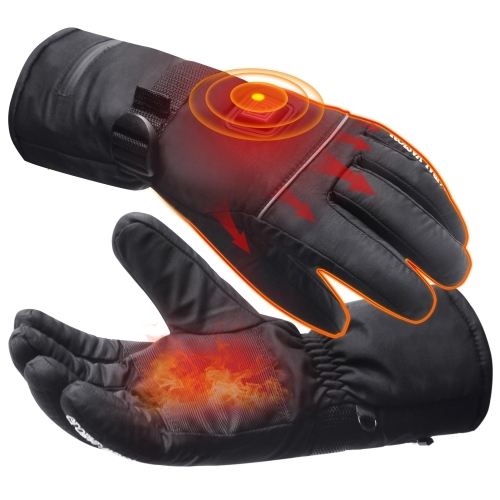 Q2: Gloves only heats for about 30 minutes then went off when i first use it. Most of batteries won’t come in fully charged status so that’s why you need to recharge them for at least 4 hours when you receive it. Q3: Does it work under subzero area?